If you put a plate of Christmas pudding in front of me, I'll quite happily eat it. Although there will be no excitement. Apart from of course when it's set on fire. I'm all for tradition but think the time has come - as far as puddings go -for it to be broken. 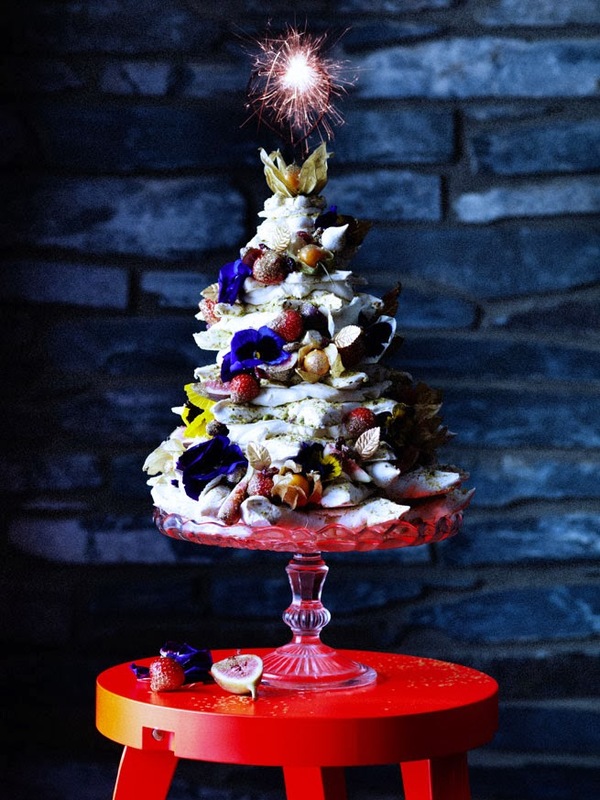 I came across this meringue, tower sensation in Grazia this week and think that its too magical not to be part of Christmas. 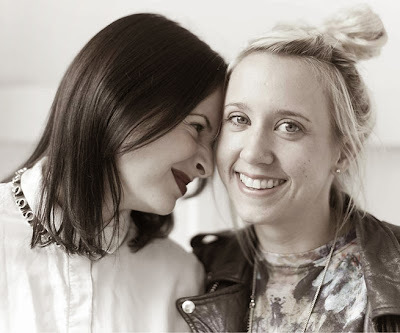 It's made by the wonderful Meringue Girls, who if you don't know their work, have a look, its incredible. Below they've shared how you can re-create this vision. * 400g egg white (we use Two Chicks Free Range Liquid Egg White) *800g caster sugar * 500g pistachios, ground. For the brandy cream: 600ml double cream * 2 tablespoons icing sugar * 1 shot of brandy, or 2 tbsp of rosewater if you want to keep it booze free. Preheat oven to 200?C. Line 6-7 small flat baking trays with baking paper and draw out your seven Christmas tree layers on each sheet. Draw the largest circle on your first sheet of baking paper. Use your serving plate/tier as a stencil. Once you have your circle, draw a five-point star within it, making your star as fat as possible. Get your next sheet of baking paper and trace over the star, but making the star 2cm smaller. Repeat until you have your final 7th baby star for the top of the tree. Line a deep roasting tray with baking paper, pour in your caster sugar and put it in the hot oven for about 5-7 minutes until the edges are just beginning to melt. Heating the sugar helps to create a glossy, stable mixture. Meanwhile, crack the egg whites into a non-plastic bowl. Make sure your bowl and whisk are free from grease. At first whisk slowly allowing small stabilising bubbles to form, then increase the speed until the egg whites form stiff peaks. The sugar should be ready to take out of the oven at this point. Turn your oven down to 100?C. Whisking at full speed, slowly, big spoon by spoon, add the hot sugar to the meringue mixture. Once you have added all of the sugar, continue to whisk on full speed for about 5-7 minutes. Feel a bit of the mixture between your fingers, if you can still feel the gritty sugar keep whisking at full speed until the sugar has dissolved and the mixture is smooth, stiff and glossy. When ready, carefully spoon your stiff meringue mixture into a disposable piping bag. Pack the meringue mixture in tightly, ensuring there are no air bubbles. With sharp scissors, cut the tip of the piping bag to the size of a 20p coin. To get the piping bag flowing, use some of the mixture pipe small dollops on to the four corners of your baking sheets and stick down your baking paper securely in place. You are ready to start piping! Hold the piping bag with two hands, place your dominant hand at the top of the piping bag and your other hand half way down the bag. You must ensure that there is pressure at the top on the bag. Use the hand that is half way down the piping bag to control the flow of the mixture and squeeze to form your beautiful filled in stars. These should be at least 1inch thick. Cover each star with your ground pistachios. Bake these at 100C for 45mins-1hr, until the meringues is firm and come off the baking paper without breaking. Take out and leave to cool. In a bowl whip the double cream and icing sugar into stiff peaks. Fold through the brandy at the last minute. You want your cream to be very thick but not over whipped. Time to assemble! Very gently place your largest star on the cake stand and spoon a large spoonful of your brandy cream on top. Smooth it out to the edges and then place the second largest star on top making sure that the points of your second star fit into the gaps from the first star not directly on top. Repeat this process until you have layered all seven stars. Decorate! We dipped our figs, physalis, dried cranberries and strawberries in edible glitter and stuck these and the edible flowers into the cream in a spiral tinsel garland. We added a beautiful heart sparkler to top off the cake and give it the final wow factor.